This pictorial library is devoted to the recording of "Uniform and Kit" issued to a Soldier from New Zealand of any corps, during the Second World War. Consider it a virtual "Q" Store in New Zealand militaria. It is not exhaustive and will be added to over time. Any reader who wishes to contribute photographs and text will be recognised and credited with such information. I also invite collectors of other nation's militaria to forward content (please see our other countries listed on the drop down menu) - so that a comprehensive list of "Axis" and "Allies" uniform/kit is detailed. 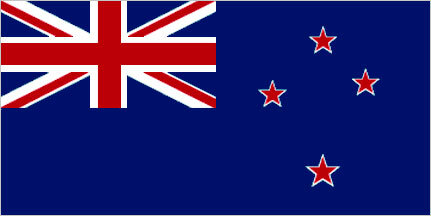 The New Zealand flag, bearing the Union Jack with the stars of the Southern Cross. Note that the New Zealand 'southern cross' is different from that of Australia; in that the actual stars are red with white in colour and this cross does not include the fifth - smaller star evident on the Australian flag. The New Zealand "Onward" General Service Cap Badge. 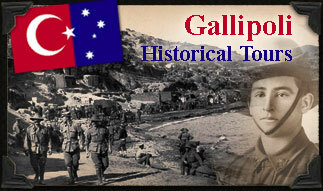 This badge has it's origins dating back to the First World War - when the British Section of the N.Z.E.F. 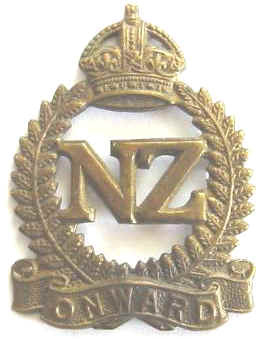 (New Zealand Expeditionary Force) had a badge designed for New Zealand Nationals who were residing in Great Britain and enlisted from there. The badge has had many variations produced, however all are unmistakingly 'New Zealand' and like the Australian 'Rising Sun', this badge forms strong representation of this nation. 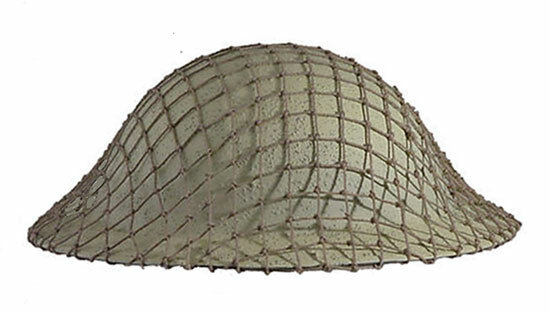 The British Brodie Pattern Mark II Steel Helmet without a camoflage net attached. This style of British helmet saw service in every theatre of war; of which Commonwealth Troops took part during the Second World War. It was also worn by all three services (Army, Navy and Air Force) although colour schemes did vary. 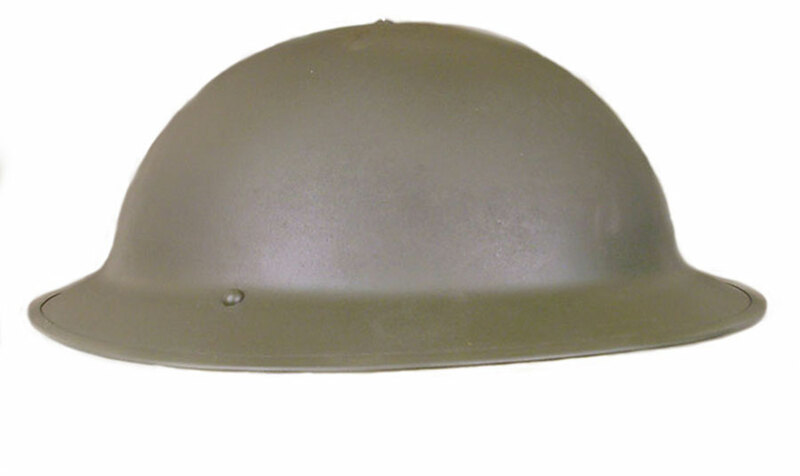 This particular Brodie Pattern Helmet has a metal rim around it's outer edge. There are also many examples which are devoid of this 'rim'.